Starting a blog isn’t difficult. The real challenge is to make it interesting and worth visiting. Before you think of implementing exterior methods to increase the number of visits you get, try to make your blog a better place on the Internet. The reason is simple: if you want your visitors to become your regular ones you have to give them a reason to stay. A number of device types used everyday for internet browsing is getting bigger and bigger. More people than ever before use their mobiles to access the Internet. Avoiding a situation when you force your mobile-device-users to find other mobile friendly blogs in your niche should be the starting point for making your site comfortable and easy to access on a wider range of display sizes. Show your visitors that you care about their comfort of navigating by making your blog accessible from a mobile or iPad. Just think about yourself as a site visitor for a moment: it’s annoying to wait 30 seconds for page to load. As an owner, you will have to deal with a huge bounce rate percentage. To avoid it, make sure your blog is technically optimized: check your page structure and the functionality of plugins. If your site loads fast, it makes better impression on your readers and converts more of them into recurring visitors. Also, check if your site navigation doesn’t force your visitor to search the desired content for too long. Figure out the number of clicks that has to be performed to show your visitors the content they are looking for and try to minimize it. The smaller the number of clicks is, the more likely your users are to go back for more. For the same reason it is good to minimize the number of ads, especially if you have just started. A lot of blog owners use popups and popunders that open new windows – it makes their visitors disoriented. It is better to start with a smaller number of ads than make your visitors drown in the ocean of popups and banners. If you have just started to run a blog, show just two or three ads per user every 24 hours. You start to make money right away and, at the same time, your traffic still has an opportunity to grow – it’s a win-win method. Try to monetize your external links with shorte.st, that way you make sure that after seeing an ad, your visitor reaches the destination URL. For too-many-ads problem, use shorte.st script with the capping option and check how your audience reacts to the number-of-ads changes. Make sure your site is easy to look at by building a cohesive, modern design. It doesn’t have to be sophisticated, just try to use a template which matches your niche and, at the same time, is modern enough to please the eye and get easy to navigate. The best technique to achieve this effect is to use clean backgrounds. Both texture and color of the background can significantly influence the overall appeal of your blog. Try to avoid lots of texture and graphics, it will help you not to distract your visitors. What is more, choose a background color which contrasts with the text, but treat with caution brighter and darker colors, such as red or yellow. Even if your post is pretty interesting, these shades can cause visual fatigue and you run the risk of making a reader lose their focus on the text. Keep it simple and try to remove all the unnecessary elements, so that your page gains some white space – it’s easier to navigate that way. Both WordPress and Blogger offer you plenty of free, clean themes to use. 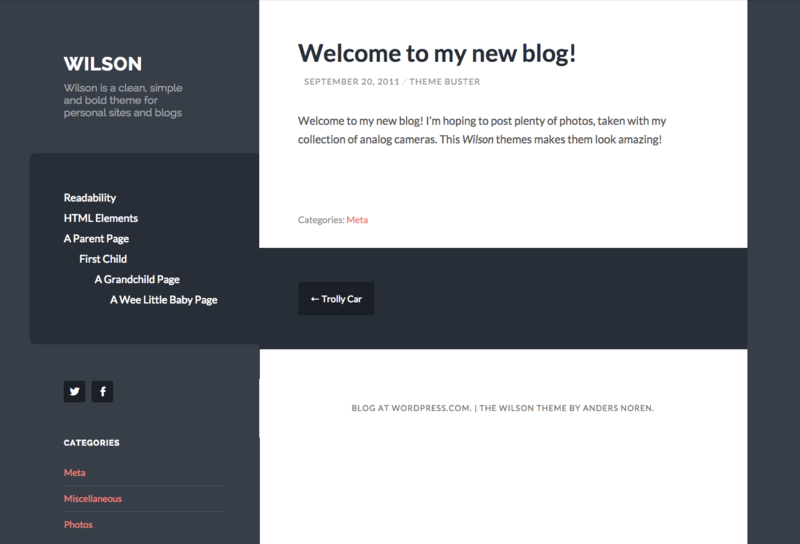 Another solution to make the navigation on your blog easier is to create a simple, yet useful navigation menu. Creating a toolbar with links that are easy to navigate helps your visitors to find the wanted content more easily and faster. Don’t forget to link to your homepage! Headlines are important, especially when you share your blog posts via social media (using social media to promote your blog and drive more traffic to your website is a completely different topic we will get you through in a separate article). A good headline attracts interest and clearly explains the benefit to your visitors: get specific about your benefits, so your reader is able to form an expectation of what’s behind. For example, “10 tips on How to Lose Weight and Improve Your Health in 30 Days”. The benefit here is clear: get tools to achieve a specific goal. Another example: “33 Comedy Movies That Make You Feel Better When Your Down”, reader knows exactly what to expect and what’s to follow. It’s really okay to write more than one headline and then choose the best one: practicing wakes up the creativity! And another tip: learn from masters! Look for inspiration on BuzzFeed or Upworthy and try to imitate professional writers. If you want your blog to stay vital you have to post more frequently. Updating a content is very important to keep your blog on the right track. Improve the number of articles you’re posting and observe how your blog’s traffic increase. Again, posting high-quality content more frequently not only helps you build your audience, but also improves your blog for search engines. If you haven’t already organized your content into categories, think about doing it now. Making proper use of categories is good for the SEO and, what’s more important, helps your readers find relevant content. When you write a new post, always try to mention other posts your readers may find interesting. Try to keep an eye on every opportunity for internal links. It works well for SEO, but also helps you to increase time-on-site by creating more useful experience for the user. You can also edit older posts to link to more recent ones. The easiest technique to “link it up” is to put links with content you find coherent, at the bottom of each post or install content plugin which will help you link each post to several other related posts. Remember about balancing your blog. Normally the user is focused more on the text, rather than on images or graphics. Even if most of your content is based on images or videos, try to make your blog easier to read by making a flow with one or two paragraphs of the text in each post. If your blog is about movies, get inspired on IMDB.com or rottentomatoes.com descriptions to write a synopsis of a movie and post it along with the trailer, images and external links you want to share. You can make your blog more engaging by interacting with visitors. Comment system is great to stay in touch with your readers: by responding to comments you can build relationships and also drive commenters back to your blog. Take a few minutes each day and respond thoughtfully to your readers. It can get you a lot of profit. Remember to use these strategies to tidy up the content you already have on your blog. Sounds like you need to make a lot of effort to do it, but we assure you it is worth doing!